Printing from a phone or tablet was once a very difficult (if not impossible task). 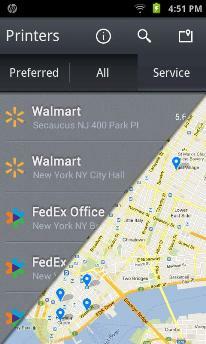 But we are seeing more apps and services which make it possible today. The benefits are numerous. If you are working onsite for a client and need to print out an invoice, estimate, or other document then you would need your laptop. I usually just email the document to the client when the situation comes up now. 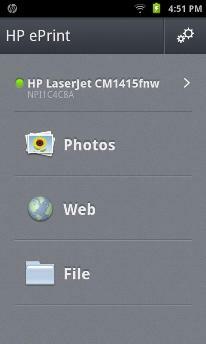 But with HP ePrint, I would be able to print from my Android device to a compatible HP printer. So today I’m looking at HP ePrint for Android. Supports all HP ePrint enabled Printers and over 200 HP networkable legacy printer models including HP Officejet, HP LaserJet, HP Photosmart, HP Deskjet and HP Envy. So HP ePrint lets your print 3 ways, via WiFi network, direct WiFi connection, or via the cloud. 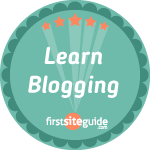 Theoretically you could print to your printer in your office 3000 miles away if need be. 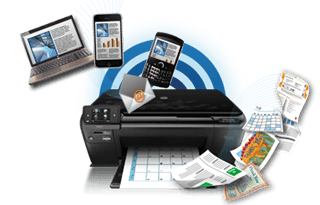 Print from your smartphone or tablet locally over Wi-Fi, virtually anywhere via the Cloud to a web-connected HP ePrint printer, or directly to an HP wireless direct supported printer. Print photos, PDFs, web pages, and Microsoft Office documents. Share and print documents, photos, or content from other Android apps with HP ePrint. Locate and print securely to thousands of HP Public Print Locations worldwide. Dedicated photo tray support. If your printer has a photo tray, it will be automatically selected for photo printing. 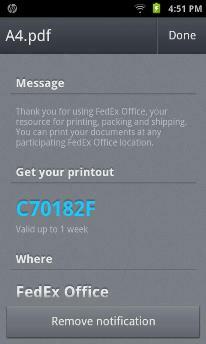 The HP ePrint app can print to any web-connected HP ePrint printer from virtually anywhere with just a few clicks. One of the cool features is the ability to print to HP public print locations anywhere. So if you are on the road you could theoretically find a Kinkos, UPS Store, or other locations with an HP Public Print and print your document from your device. The obvious drawback here is that you are limited to HP printers. I don’t really see this as a huge problem because HP printers have a huge market share within business environments. HP ePrint has 4 stars out of 5 on the Play store and it seems to be well received all the way around. Certainly worth having if you have a compatible HP printer or if you need to print on the road frequently.